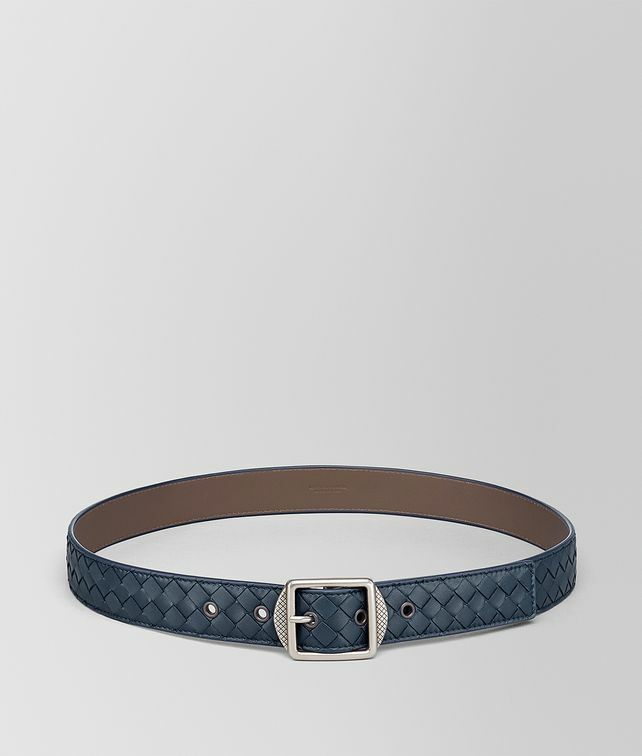 This sophistsicated belt is entirely hand-woven in soft monochrome Nappa. The special pin buckle combines iconic matte-effect Brunito and shiny Antique Silver accents. Metal eyelets and Intrecciato engraving on the edges of the buckle add a distinctive finish.